Janice Folsom is the founder and Artistic Director of the Southern Crescent Chorale. Under her leadership, the Chorale has thrived and has brought outstanding music to the Southern Crescent community. The Chorale has performed at many venues throughout the area including Spivey Hall and Southern Ground Amphitheater. Ms. Folsom is a 34 year teaching veteran who retired from public school teaching in 2006. She served as choral director at Fayette County High School in Fayetteville, GA for 29 years. Her choral groups performed at Georgia Music Educators Association In-Service Conferences as well as many special events such as Atlanta’s “Lighting of Rich’s Great Tree”. The Select Chorus also toured extensively in the U.S. and Europe. During her tenure in Fayette County, Ms. Folsom served as Music Contact Person for Fayette County Schools and served as the Fine Arts Department Chair at Fayette County High School. Ms. Folsom was one of three finalists for the 1999 Georgia Teacher Hall of Fame sponsored by Georgia Association of Educators and WTBS television. She has conducted the Georgia All-State Senior High Women’s Chorus and has also conducted honor choruses and workshops throughout the state, most recently in November 2012 for the GMEA 6th District Honor Chorus. She has served as conductor of the Georgia Institute of Technology Women’s Choir and is a Head Adjudicator for GMEA Performance Evaluations throughout the state. In November 2003, Ms. Folsom was named a National Board Certified Teacher. A native Georgian, Ms. Folsom has sung in the Atlanta Symphony Orchestra Chorus under Robert Shaw and performed with the Fayette Community Theatre. She serves on the Spivey Hall Education Committee. She was featured in the Fayette Woman Magazine for her contributions to the school system and community. 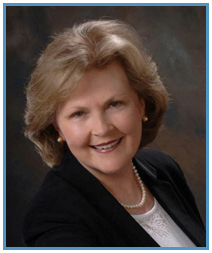 She is active in the Georgia Music Educators Association and served as State Choral Chair from 1989 to 1991. She is also a member of the American Choral Directors Association and Delta Omicron and Pi Kappa Lambda Honorary Fraternities. Ms. Folsom holds the Bachelor of Music degree from Samford University and the Master of Music Education Degree from Louisiana State University.